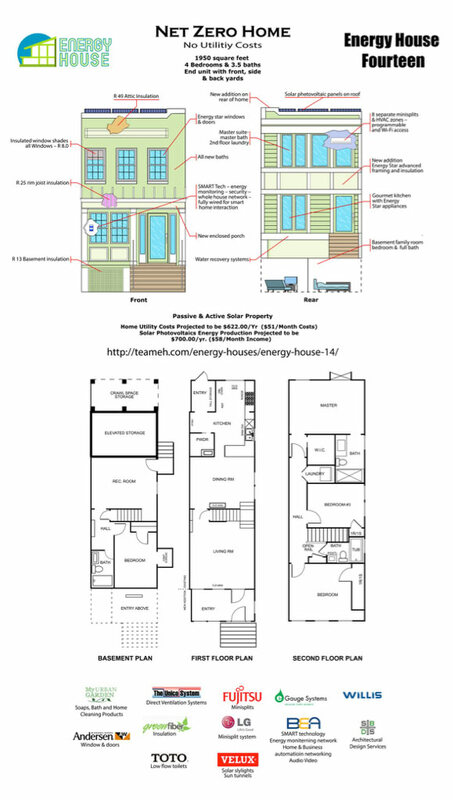 This 1,950 SF Net Zero Design – full renovation of an existing 1940 Townhouse in the Parker Gray District of Alexandria, VA was highlighted as Energy House 14. The improvements included, all new kitchen and baths, insulation, heating and cooling, hot water, passive solar, water recovery as well as fully sustainable products throughout the project. Project design by SB Design of Alexandria, did a great job. Project was sold to a local family and they are enjoying their new home. The progress on Energy House 14 finalization is in full mode. 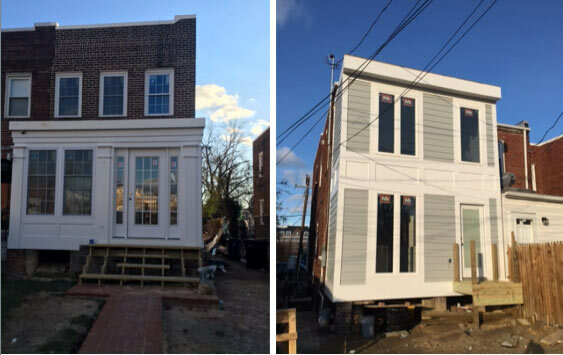 All the finishing touches are being made to bring this existing 1940’s row house to being the first net zero renovation project in the city of Alexandria. The 1950 sf house is projected to use on $644 per year of electricity to run its lights, HVAC and its appliances. There are going to be 16 photo voltaic panels installed on the south homes south facing roof. The storage system for the electricity produced is simply going back into the grid as a credit against what is being used by the house as it operates. 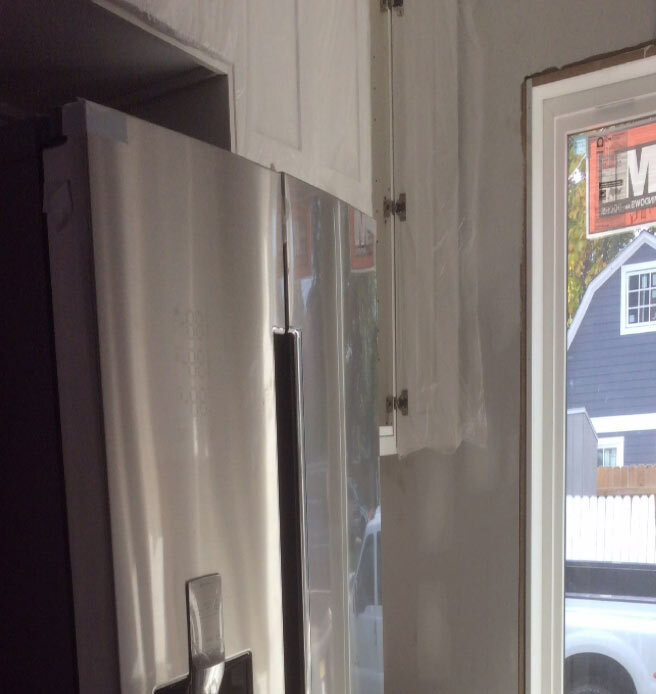 The existing house, while not having any insulation in the walls was left that way in a majority of the case to save money on the demo and the reframing and new drywall. This is truly a green savings, in money. 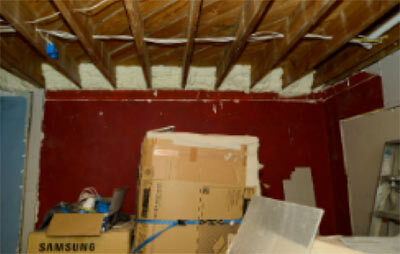 The two new additions were heavily insulated with more than R49 in the attics and R25 dense paced cellulose in the walls. 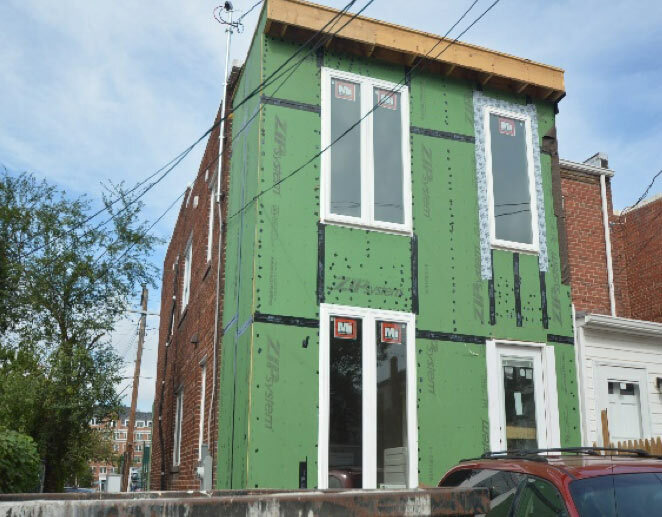 Insulated Zip Board by Huber has been use on both additions to stop all the thermal bridging of the 2 x 6 advanced framing in all the new construction areas. Rim joists on the basement and first floor have all been insulated with open cell foam to stop all air leakage from those areas. Even the party wall rim joists were insulated to cut down on the noise transfer to the next door neighbor. The crawl space storage area was insulated and sealed and a 20 mil vapor barrier installed along with plywood for easy storage in the space for the family. 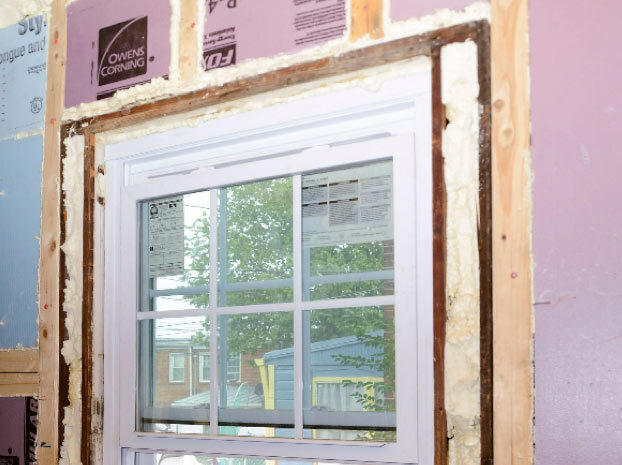 All new doors and windows were installed, all of which were Energy Star certified. Passive solar gain has been harnessed across the rear facing windows to maximize the collection of the warm winter sun. The use of tile in the kitchen was not only for ease of cleanup in that area of the house but also for thermal storage during the winter months. Rain barrels are being installed to collect water off the roof to help provide irrigation for the home landscaping. 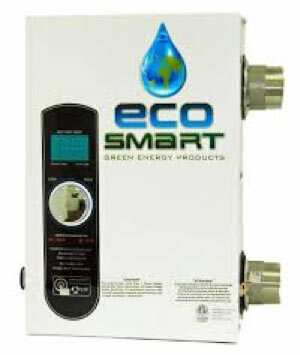 An Eco Smart instant hot water tank system is being installed to provide all the hot water for the family of three. 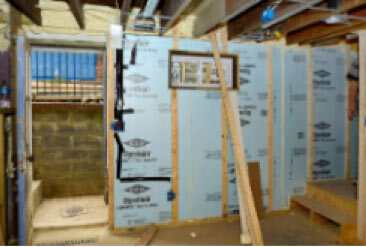 Willis Mini Split system was installed to provide all the HVAC needs of the house. This highly energy efficient system will cut the families heating and cooling costs by more than 50% but will enable the household to have 5 different zones of heating and cooling in the space. This will not only make it more comfortable in each room supplied but also even more efficient because we all know that more zones in a home reduce energy consumption. Insulated Warm Window shade are intended for the south facing passive solar windows to help reflect the summer sun and trap the winter warmth into the house once the sun goes down. 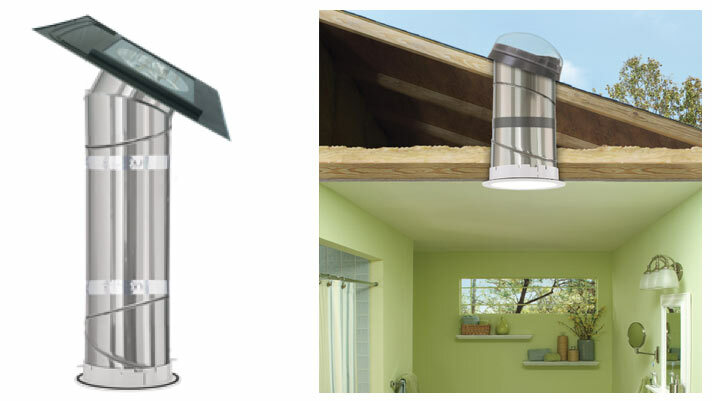 Solar tube is being used in the central hallway to keep natural light streaming into a dark space to electric lights are not needed during the day. SMART energy monitoring will be installed to watch the solar production of the homes solar panels. 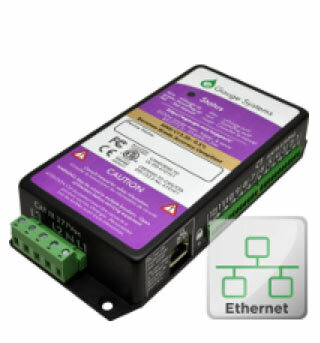 EGuage, which is the best, most affordable energy management device will be installed to provide all this information to allow the homeowner to watch all their energy usage. 1212 Oronoco St, Alexandria VA 22314, There should be plenty of on street parking during this open house.